Though mercury amalgam fillings were once the standard in dentistry, more and more dentists and patients alike are choosing alternatives such as tooth-colored fillings. Not only do these fillings look better, but many experts believe they are safer for your health and the environment as well. When you are ready to have your old metal fillings replaced, you should choose Scott Stewart DDS, BCNP, a mercury safe dentist at South Lakewood Dental who will take the measures necessary to remove these potentially hazardous materials from your smile properly. First, when you are having amalgam fillings removed, they are known to release mercury in the form of vapor and microscopic particles. This poses a significant danger to your health and the health of your dental workers if the removal is not performed carefully. This is why at our mercury safe office we follow strict rules when removing these fillings. The procedure involves using a special rinse before the procedure, and special protection such as rubber dams are used for further protection during removal. Then, rather than grinding down the fillings and producing small particles, they are sliced and removed in large pieces while special instruments are used to keep the temperature low and remove any vapor and particles. Dr. Stewart’s primary goal in following these steps is to protect the doctor’s health, the assistant’s health and of course, the patient’s health from excessive mercury exposure. Once the mercury amalgam fillings have been safely removed from your mouth and your own health is no longer at risk, the fillings must still be disposed of. Improper disposal of the fillings is known to add to mercury toxicity levels in the environment. This is why the mercury safe dentists at our office have learned how to dispose of mercury properly for the safety of all involved, including the environment. This requires the use of special tools that can remove the mercury from wastewater before it is disposed of. The mercury is sent to special places where mercury waste is handled. 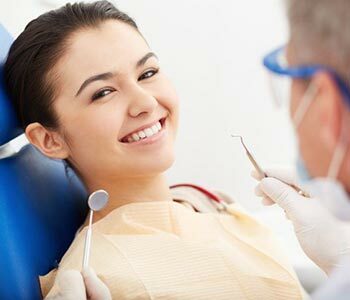 When you are ready to have safer materials placed in your teeth, make sure you have your old fillings removed by a mercury safe dentist at our Lakewood, CO office. Call us today at (855) 233-0023 to find out more about how we work to protect your health.